Rosthwaite Farm offers a range of horse training services, from problem horses through to developing top-level showjumpers. Whether it is for a week or long-term Campaigning for competition or sales, with two extremely experienced trainers, James and Elliott will work together to get the best results. 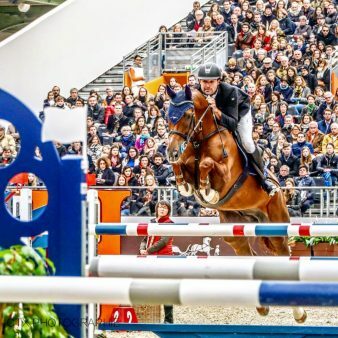 Both James and Elliott compete to the highest level and have experience producing and nurturing young horses right through to Grand Prix horses. 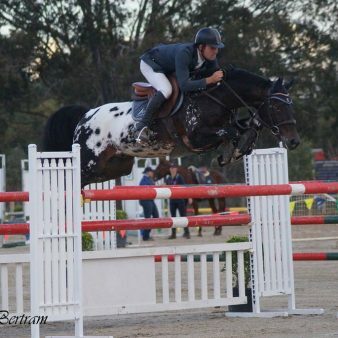 Between the two of them, they have produced over 15 Grand Prix horses in the last 7 years. When it comes to sales we have a huge network of clients and pride ourselves on delivering a first class service. We have a massive amount of repeat business. Just check out our testimonials below. CLICK HERE to contact us today and allow us to tailor a package to your needs. Finding the first horse for kids coming out of the riding schools is never an easy task. Especially when the kids want to take that next step into the competition world and want to be competitive. To make matters trickier, our horses need to be able to cope with the equestrian center, 24/7 stable life and the chore of crossing city streets just to get into the equestrian grounds, much less the challenge of walking through the park (with new horse and first time owner combinations) surrounded by non horsey people, prams, busy sporting fields, dogs etc. We are 3 for 3 with finding such horses from Rosthwaite farm. James has always made the horse shopping process easy and enjoyable and all 3 have easily made the transition to city life with their new young riders. Thanks team Rosthwaite, we will be returning.